On calm days, observers are more likely to see large sharks while on survey. Recently, we have spotted a range of species, including great hammerhead, spinner, and white sharks. 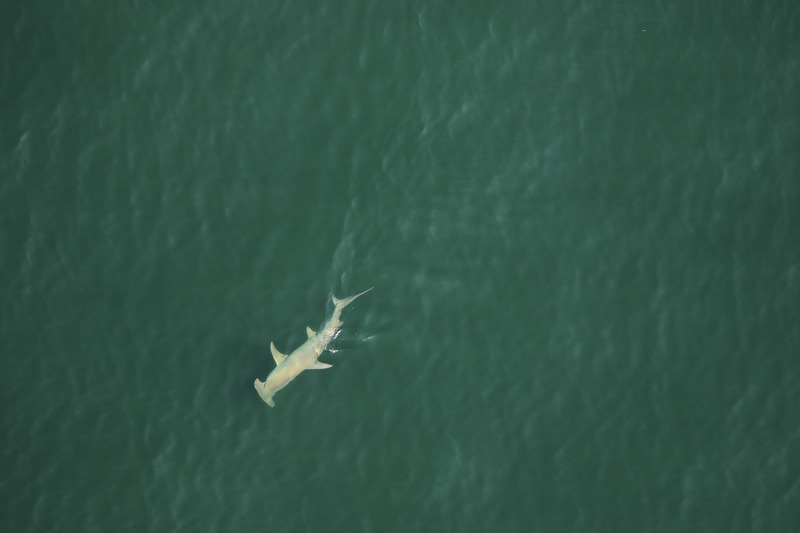 This great hammerhead shark was photographed about 5 nautical miles off Flagler Beach, FL on March 15, 2019.